It has been a vibrant and verdant spring around the area, and a fertile season for restaurants as well. This past quarter saw the emergence of 29 new restaurants, and the closing of only 16, almost twice as many openings as closings. For the restaurants biz, that certainly is a good start to the year. Last issue we reported on the opening of several new high-end restaurants–Ward 426, 8UP, Mesh. Of the two dozen plus new businesses we have to list here only Brandon’s Catch 23 (opening just as this issue goes to press) is in the Upscale Dining category. But that fact does not undercut the anticipation and latent excitement of the other new restaurants, which suggest the continuing appeal of local craft brewing, of ethnic influences on the dining scene, and the energy of familiar players who continue to spin out intriguing variations on their established themes. The elegant lobby of the recently opened Embassy Suites Hotel (in what will undoubtedly always be referred to as the old Stewart’s building) at 505 S. Fourth St. will startle the old-timers who remember the old department store. If the independent restaurant Brendon’s Catch 23, adjacent to the hotel just to the south, matches the classy modern elegance of the hotel lobby, the downtown dining scene is in for another jolt upward. The focus of Catch 23 will be steaks and seafood and Low Country cuisine–a southern regional focus that has been missing in the local mix. It is always encouraging to see established restaurateurs getting enough of a foothold to expand with additional locations of their initial idea, or new concepts that bring different choices to the dining scene. In the last quarter veteran pizza entrepreneur Tony Palombino has been the one kicking up a storm of new ideas. Palombino currently has six Boombozz Pizza and Taphouses in the area, when his newest opens soon in the former 60 West Bistro at 3939 Shelbyville Rd. When that happens, he will close his Boombozz Famous Pizza store at 3400 Frankfort Ave., and convert that space into Joella’s Hot Chicken, which will serve Nashville-style spicy chicken and side fixin’s, dishes he has been experimenting with and perfecting at his downtown honky-tonk bar and grill, Manny and Merle’s at 122 E. Main St. And, he is in the process of expanding that place into the former barbershop next door. All this energy comes hot on the heels of the collapse of his other new idea, Barrel House Social, which was to be at 6201 Dutchman’s Ln. Lose some, win some others seems to be Palombino’s philosophy as he plunges onward to develop his little empire. One cannot call two stores an empire, but the quick expansion of their Eggs Over idea from its start on Frankfort Ave. to a second restaurant, Eggs Over Baxter, bodes well for owners Jackson and Cortney Nave. Their new Highlands outlet at 962 Baxter Ave. has a liquor license, which will allow for mimosas and Bloody Marys with brunch. We found it interesting that 13 of the 29 new restaurants are ethnic eateries, and 8 of those serve Mexican or other Latin American cuisine. 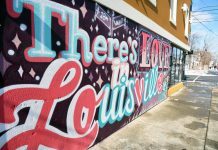 The perception that Louisville, compared to some other cities, has been ethnic food deprived is perhaps in need of re-evaluation. Let’s start with those Latin restaurants. Me Gusta Latin Kitchen and Bar, 129 W. Main St., replaces the Los Aztecas that was there, and adds Peruvian and Argentinean dishes to the more usual Mexican fare. Con Huevos at 2339 Frankfort Ave. (Sari-Sari’s former location) serves Mexican-style breakfasts that go beyond the familiar huevos rancheros. Across the river in New Albany, Israel Landon, who experienced a typically American entrepreneurial rapid rise and fall with La Rosita is returning to his roots, both figuratively and physically. His new restaurant, Israel’s Delices de Mexico Gourmet is at 1515 E. Market St., the site of his instantly popular first incarnation of La Rosita. He will be serving things like street tacos and Mayan quesadillas. Weekly specials highlight cuisine from various regions of Mexico, including seafood dishes and new desserts. Also in New Albany, and also re-starting his restaurant career, is Leo Lopez, who is re-opening Habana Blues Tapas Restaurant in a new location, 320 Pearl St. His new restaurant will have valet parking, nightly Latin music (tango, flamenco, salsa) along with a wide array of Caribbean-inspired small plates. Other new restaurants serving the foods of Mexico, Latin America and the Caribbean include TropiCuba in Clifton, Don Juan Birria y Carnitas in Fairdale, El Micheladas and Yoli’s Cafeteria in the South End and La Cocina de Mama downtown. TropiCuba, 2206 Frankfort Ave., in the space that has seen several restaurant iterations in the last several years, has earned enthusiastic word-of-mouth in its early weeks for both its crisp new interior and the quality of its food. Veteran Chef Angel Rodrigues plans to focus TropiCuba on authentic expressions of island cuisine. Don Juan Birria & Carnitas, 5637 Outer Loop, owned by Juan Segoviano, who operates several Señor Iguanas around town, focuses on the cuisine of Jalisco, the owner’s home state. Look for stewed goat (birria), pickled pigs feet, spicy guacamole and tequila cocktails flavored with guava and tamarind. La Cocina de Mama has opened at 520 S. Fourth St. Downtown lunch goers and Happy Hour explorers have given it good early notices for quick service, tasty food and cold margaritas. El Micheladas, 3027 S. Fourth St. limits its food to bar snacks, but touts their namesake drink, made with beer, lime juice and various sauces and spices. Yoli’s Cafeteria in the Beechmont neighborhood, 328 W. Woodlawn, is a no-frills source for hearty home-style Cuban food at bargain prices. Other new ethnic restaurants include Sarang, serving Korean food at the former CeFiore frozen yogurt location at 1908 Eastern Pkwy. ; Shandaar Indian Restaurant at 1801 Priority Way; and Baraka Restaurant, 519 W. Oak St., which has an eclectic menu of African, Middle Eastern and Indian dishes. DelFino’s Italian Bistro has opened at 3701 Hopewell Rd., and La Gallo Rosso has renewed itself at 1860 Mellwood Ave. Only one new dedicated pizza emporium entered the crowded market recently, Pieology, at 2043 S. Hurstbourne Pkwy., offering one size, one price pizzas built to your specs and flash-baked as you wait. The other newly opened restaurants serve traditional fare familiar to American diners. The Toonerville Deli moves into the Old Louisville space that had long been Ermin’s Bakery at 1201 S. First St. In New Albany, Fieldhaus, at 826 W. Main St., is a bar & grill whose walls celebrate the memory of local sports teams. In Fern Creek, Gypsy’s Sports Grill at 7207 Fegenbush Ln., named after the owner’s rescued Boston terrier, serves up just the sort of fare you need when watching sports on TV. Lydia House, at 1101 Lydia St, long the site of Flabby’s Bar, introduces fancy toasts and kombucha, along with other light breakfast and lunch fare to Schnitzelburg. Poppy’s Cafe and Coffee serves breakfast sandwiches, donuts, panini, soups and salads at 4214 Bishop Ln. Louisville Coffee Co. Espresso Bar Cafe at 10414 Watterson Trail is ready to caffeinate the neighborhood, as is Starlight Coffee Co. at 3131 Grantline Rd. on the New Albany outskirts. For those who need some sweet fried dough to go with their java, Clifton Donuts, 2317 Brownsboro Rd., provides a nice variety. And when you swelter under the summer sun, you can head for Boudreaux’s New Orleans style Sno-Balls at 11816 Shelbyville Rd. in Middletown. And, finally, two new breweries enter the local craft beer scene. Indianapolis’s Flat 12 Bierworks has opened a production brewery and restaurant at 130 W. Riverside Dr. in Jeffersonville, and Donum Dei is brewing at 3211 Grant Line Rd., not far from the original location of local beer pioneer New Albanian Brewery. Big Four Burgers has moved into the long-empty spot at 114 E. Main St. in New Albany that for many years housed the South Side Inn. Several of the physical spaces that housed recently closed businesses were quickly snapped up for re-imagining as something new. Most notable of these now-defunct restaurants that will soon see a phoenix-like re-emergence is KT’s Restaurant and Bar, 2300 Lexington Rd., which will this summer become Le Moo Steakhouse, under the ownership of Kevin Grangier, of Anchor Pub renown. As already mentioned, 60 West Bistro and Martini Bar, 3939 Shelbyville Rd. was bought by Tony Palombino for a new Boombozz Pizza and Taphouse, and Palombino will convert his Boombozz Famous Pizza store at 3400 Frankfort Ave. into Joella’s Hot Chicken, a new concept, by late summer. In Old Louisville Ermin’s last location at 1201 S. First St. closed, and in the Highlands, so has Wasabiya Japanese at 962 Baxter Ave. Riviera Maya Mexican Cuisine in Clifton at 2206 Frankfort Ave., closed and in Crescent Hill Bentihua Teahouse and Taiwanese Eats closed, but the owner is planning a new concept in the same space at 2520 Frankfort Ave. Similarly, Rob-a Que’s owner has converted his store at 4214 Bishop Ln. into a breakfast-focused Pappy’s Cafe & Coffee. In New Albany JR’s Pub at 826 Main St. closed, and Fieldhaus opened soon after. Silo Ethiopian at 328 W. Wodlawn Ave. became Yoli’s Cafeteria, serving Cuban food. One notable closing does not yet have a definite future: the long tenure of Palermo Viejo at 1359 Bardstown Rd. has come to an end. East of Chicago Pizza, 12416 Shelbyville Rd. in Middletown has also closed. 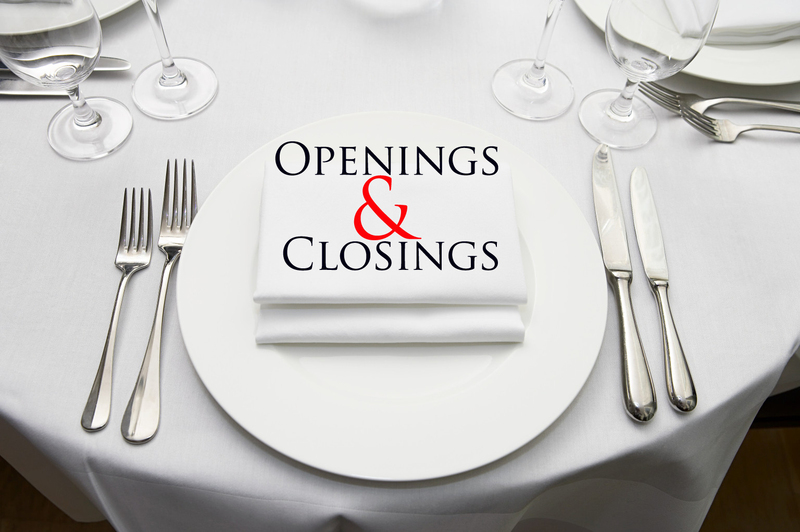 Three businesses with multiple outlets closed one location this spring. Bristol Bar & Grille gave up on their cafe project in the Mellwood Arts Center, Sol Aztecas closed the store at 520 S. Fourth St. and Los Aztecas closed at 129 W. Main St. All three of these locations were taken over by new owners. A few changes in either location or concept are worth mentioning. Earth Friends Cafe has been a particularly peripatetic business–it seems we have reported on their moves in the last several issues. Their newest move is away from downtown Louisville to downtown New Albany, where they are now the occupants of what was Bank Street Brewhouse, at 415 Bank St. The beer production facility at 636 E. Main St. has been run under the BBC name and logo, even though BBC has not owned the property for a while. Now it is time to establish a separate identify, as the space is renovated. The new name will be Goodwood Brewing Co.
Jackknife Cafe is staying put in the Butchertown Market building at 1201 Story Ave, but will be a bakery, not a breakfast and lunch café. The Jeffersonville Kingfish is staying put too, at 601 W Riverside Dr., but expanding down to the river. Their new full-service riverside patio, called On the Rocks, will have live entertainment, specialty drinks and craft beer.